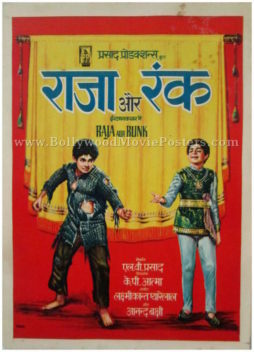 Old hand painted Bollywood movie poster of the classic Hindi film, Raja Aur Runk (1968) for sale. 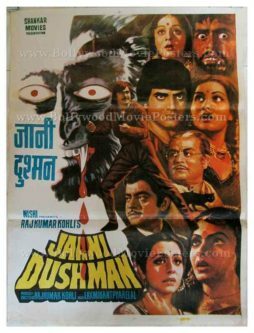 This is an actual surviving vintage publicity poster of the 1968 film that featured Sanjeev Kumar and Kumkum in lead roles. 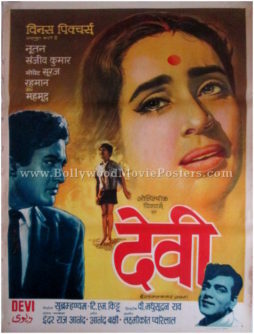 Raja Aur Runk featured the hit Mohammed Rafi song, “O Phirki Wali,” which is fondly remembered till today. 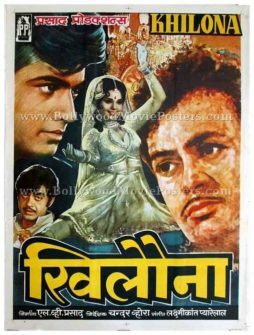 This hand drawn old Bollywood poster capitalizes on the success of the song by announcing its lyrics on the top. 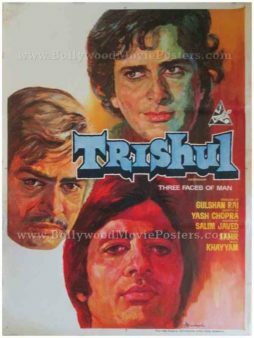 This poster was originally designed in hand painted oil on canvas format by a small time art studio in Kolkata, making it highly collectible. 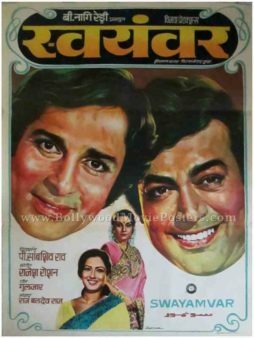 The design of this hand drawn Bollywood poster captures the stark contrast between rich and poor by featuring the prince and the pauper alongside in their element. 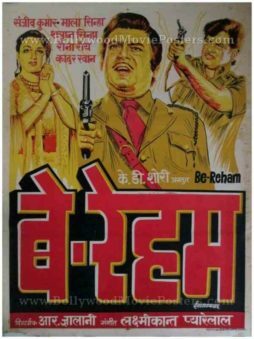 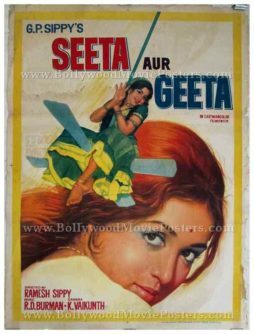 Very rare old vintage Bollywood poster of the hit Hema Malini film, Seeta aur Geeta (1972) for sale. 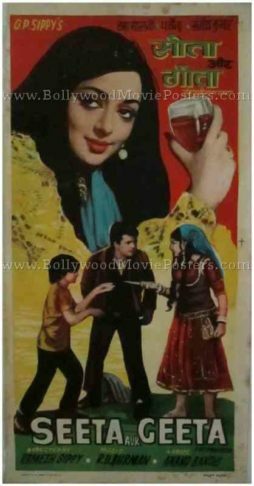 This is an actual surviving publicity poster of the 1972 film that featured the Dream Girl of Indian cinema, Hema Malini in an unforgettable double role. 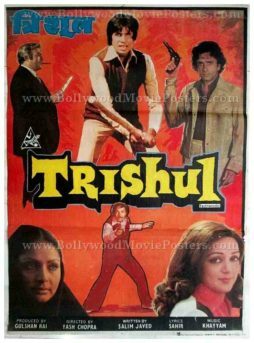 Printed and circulated during the first release of the film (somewhere in the early 1970s), this vintage movie poster was originally designed for publicity of the film but never ended up being used. 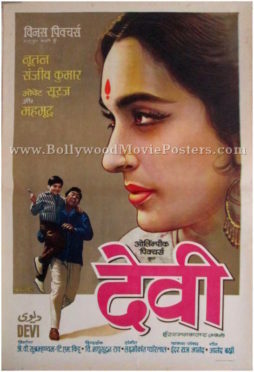 This beautifully hand painted Bollywood poster features a stunning close up portrait of Hema Malini. 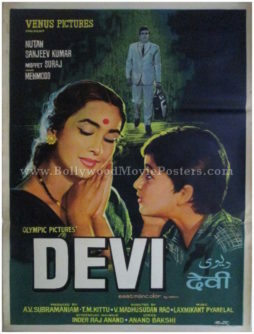 She is seen in a smaller avatar again at the top of the poster, summarizing her double role in the film. 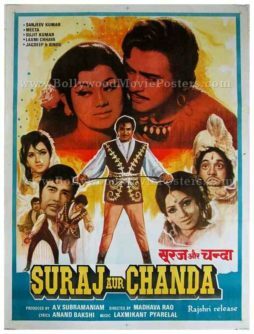 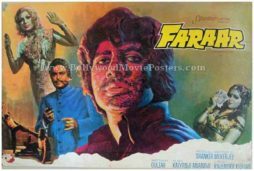 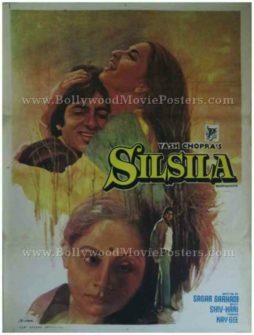 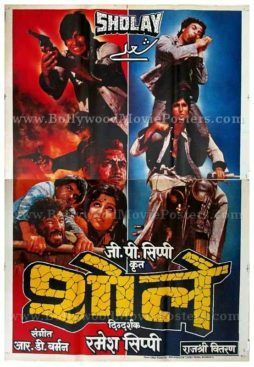 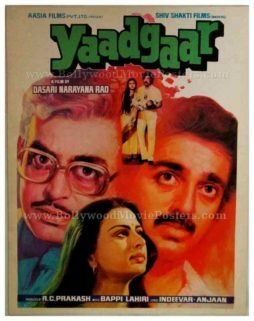 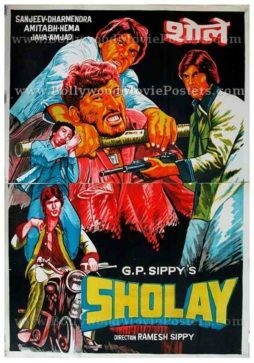 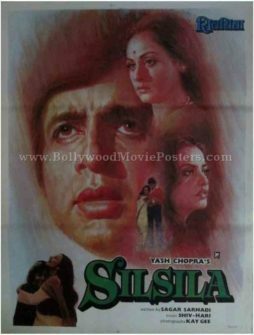 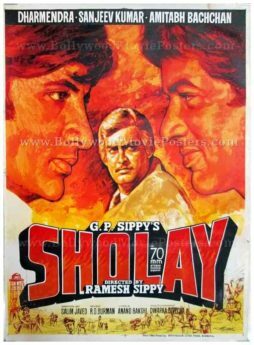 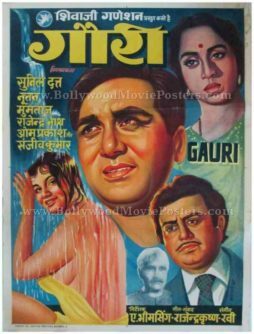 The title and credits in this vintage Bollywood poster are completely written in English. 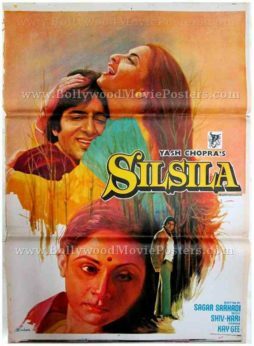 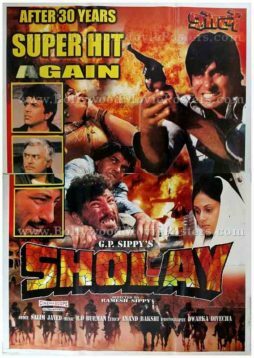 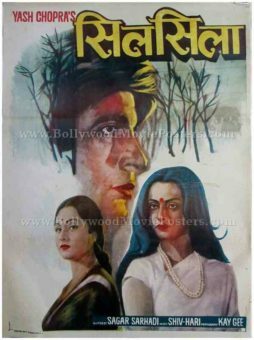 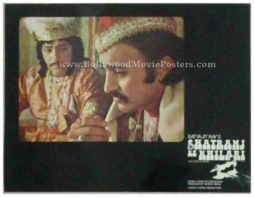 This rare original first release Bollywood poster has been painstakingly restored back to display condition using extensive taping at the back to repair numerous cracks and tears/rips. 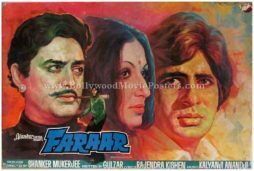 Minor pieces have gone missing along its border. 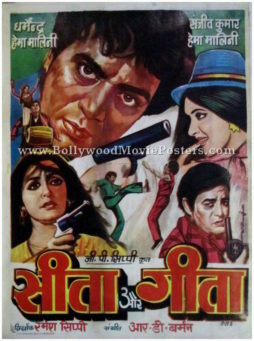 Further, due to the presence of visible stains on the paper, this poster has been graded as ★ As Is.